It’s that time of the year! 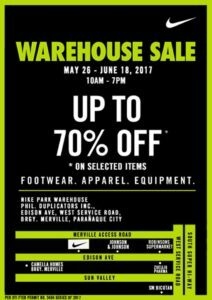 Nike Park is having its warehouse sale at Merville, Paranaque!! 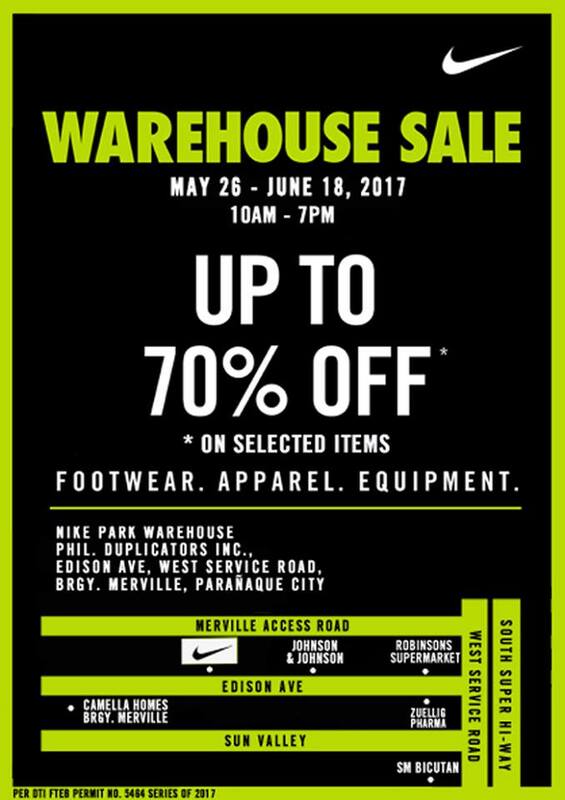 Enjoy up to 70 percent off on shoes, apparel, and equipment!! Bookmark our website as we’ll surely update this post with photos that will go on sale!!! Next articleCrazy Clearance Sale: Avent, Volcom, Native, Philips, and more!